Whether you are a landlord or a tenant, you will both suffer if you come to blows, particularly if you end up fighting in court. 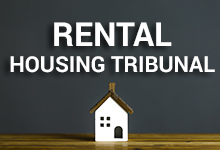 So if communication and negotiation don’t resolve your differences, and provided that your lease is for a residential property like a house or apartment, you should know that you have easy, cheap and quick access to the mediation services of the Rental Housing Tribunal. Let’s have a look at when and how you should consider that route. We can’t tell you whether or not you should invest in Bitcoin or in any of the many other cryptocurrencies out there. That’s strictly a decision for you and your financial advisers. 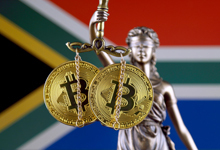 But if you are already an investor or plan to become one, you should know how our law regards these alternative currencies. We discuss whether they are legal, whether you have any protection under law, how SARS plans to tax them, whether you need to register for VAT, and whether you can leave them to your heirs when you die (and if so, how you should do so). We read about it all too often – employees being hired on the basis of fake qualifications, degrees they were never awarded, experience and training they never received. When (it’s usually “when” not “if”) their dishonesty comes to light, what can you as the hoodwinked employer do about it? Let’s have a look at a perfect example - the case of an 82 year old financial manager who claimed (entirely falsely) to be a Chartered Accountant. If you are an entrepreneur you should start thinking right now about the cost to your business if you or your staff fall prey to one of the virulent strains of flu headed our way this winter. We share with you some online ideas on how to boost your immunity and, if you do still suffer a bout of flu, what you can do to reduce both its severity and the time it takes you to recover.